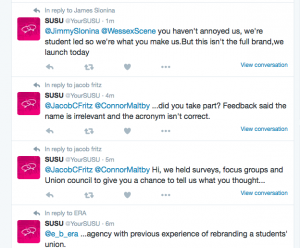 Twitter-Gate: Are SUSU Hurting Their Own Brand? 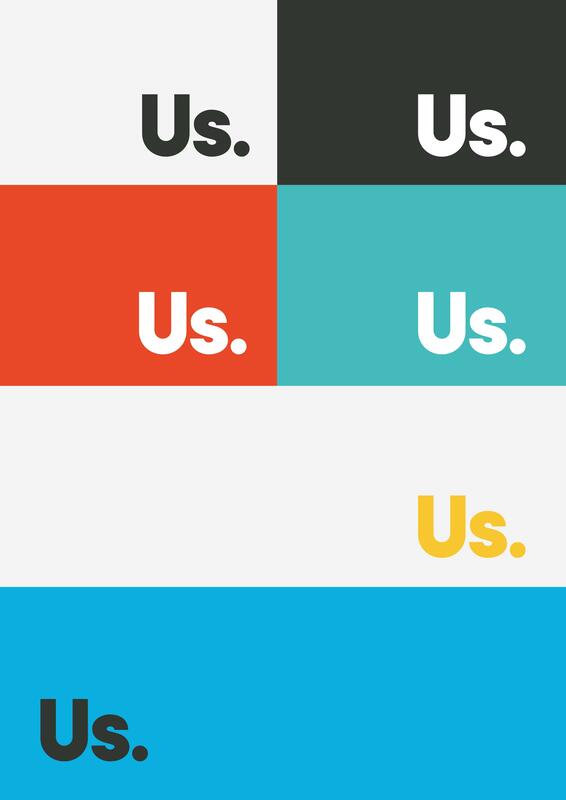 For those of you who haven’t heard the news, SUSU are currently in the process of launching a rebrand where our students’ union will simply be known as Union Southampton, or Us. With a brief view of one of the new logos on the Stags, students were in uproar taking to social media to air their distaste and soon even a petition was launched to reverse the rebrand on change.org. Even our very own University of Southampton Tell Him/Tell Her page has been amok with spoofs of all kinds including Teenage Mutant Ninja Turtles and the European Union. 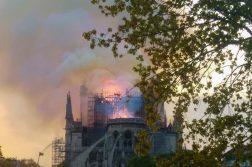 How have the union responded? Well, unfortunately, not very professionally at all. 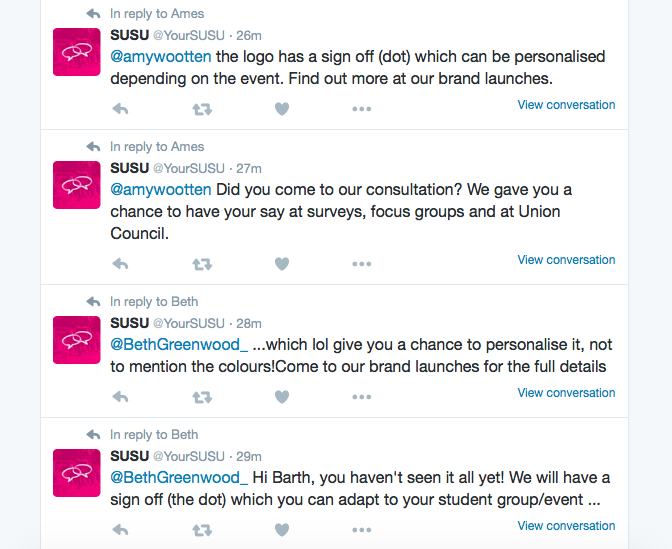 Today’s @YourSUSU Twitter feed is filled with direct addresses to students’ complaints over the weekend. To some this may not be a problem but perhaps this speaks of a larger SUSU issue. The union is categorised legally as a charity which is why it is not allowed a political stand point and often has to seem unbiased on current affairs. However, of course this is in turn to help students with the idea that all businesses run in affiliation eventually use the profit to benefit students. So the idea is to support the students. Then why is it that the twitter feed is if anything unprofessionally targeting negative comments on the new rebrand and replying? 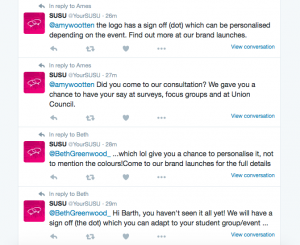 Ok, yes, SUSU ran consultations and surveys on the rebrand but there is one glaring problem with this. It relies on students to be engaged on their own terms with the Union and I’ll be honest, from my own experience, most students aren’t. Social media is not enough to engage the entire student body. We have multiple campuses and an array of intake within our group. 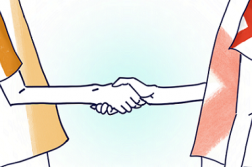 Creating an event on Facebook and using the blogs is simply not enough. It is possible that emails, flyers, posters and even asking the University to get involved on such a large scale issue would have been beneficial. But this is not what I am addressing today. In any form of business, company, website and even charity, when a rebrand is launched it is usually done with notice, celebration and most of all silence on the response. If anything the student media should have been given the final rebranding package to reveal alongside SUSU to present wholly and not as a quick response to a new Stags sign. SUSU, or Us., should then have the common sense to let students air their opinions in a safe manner through social media and not directly respond to them expressing their desperation. 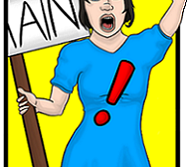 The Twitter feed if read back shows an escalating fear of students’ response. The feed tries to defend itself, insisting on previous protocols and instead of establishing this it just proves unprofessional, desperate and frankly not student representative. 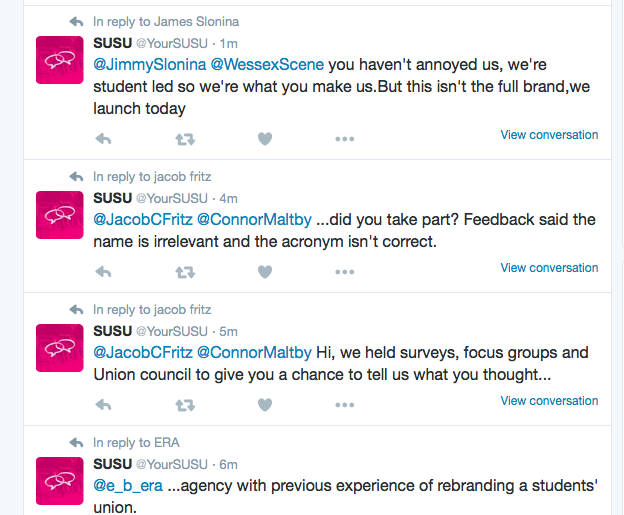 While I personally am not totally sold on the rebrand, I am also not totally opposed to it and this is because SUSU, as we see now through its twitter, has a massive identity crisis. I’m afraid it’s time for SUSU, or Us., to figure out whether it is a charity, a business, representative of the student body or attacking the responses presented by them. I’m afraid our students’ union is having an existential crisis along with all of its third years and frankly this is not acceptable. It would be wise for the union to fully launch the rebrand, let it settle for a month or so and then hold a union question time or allow the medias to hold surveys then that will fully reach and represent the student body’s voice. But until then, @YourSUSU needs to learn to take its hands away from the keyboard and let people air their tensions. If You Are So Against the Re-Brand, Then Why Didn’t You Speak Out About It?